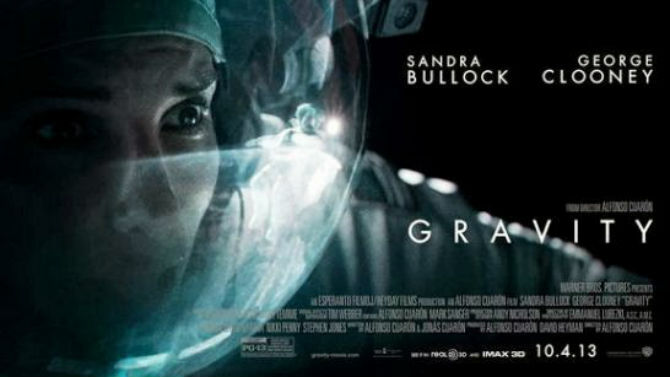 'Gravity' - Go See It. That Is All. I won't bore you with yet another review. You've heard about it a million times today. I'm sure you're coworkers have irritated you with all their 'Gravity' talk and are berating you for not seeing it this weekend. I would normally be irritated with all of the hype, had I not seen it for myself. Seriously, it's awesome. A masterpiece. Go see it. My one recommendation is that you see it in the IMAX. Also, if you're looking for complete authenticity then rent a space documentary. This is a movie so it has lots dramatic license. It's fiction folks, although director Alfonso Cuaron did consult with astronauts and NASA. According to some real-life astronauts 'Gravity' got a lot of things right and a few things wrong. Here are a couple of reviews. When astronauts say it's incredibly realistic, you know they did it right. Thought it was amazing. I saw The Dark Knight Rises in IMAX and was under-whelmed, but this one looks like it's worth it. Thanks for the thumbs-up MsMariah! I was pretty sure I was going to see it, but now I'm sure. Thanks! Alex-- I agree! It was great. Maurice-- I usually don't recommend IMAX as I thin it's a waste of money, but in this case I make an exception. Pat-- You love visuals so I think you'll like it! Saw it today and absolutely loved it, definitely my number 1 movie of the year so far. Everything was just fantastic and the 3D was awesome and the best I've ever seen. Sati-- I couldn't agree more. A film that shows what can be done with 3D. Impressive stuff. Dan, so very true! Thanks for the comment.